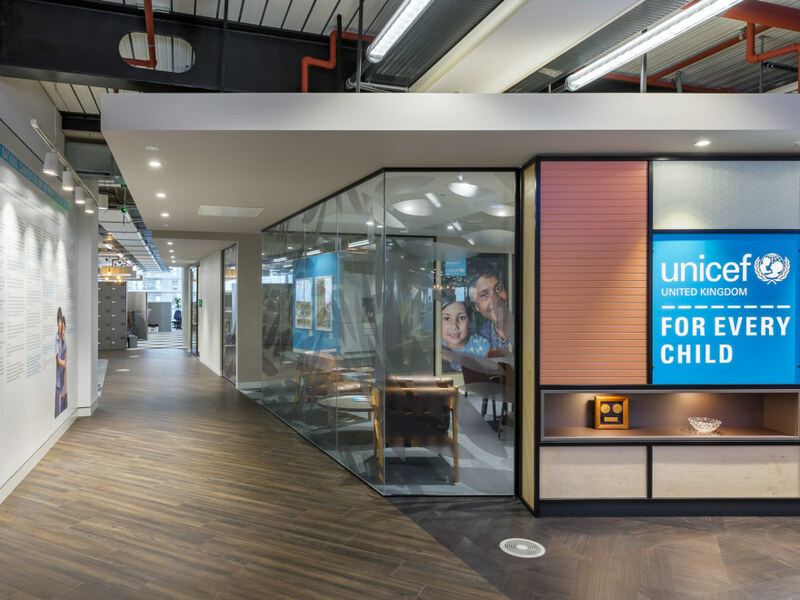 UNICEF were relocating to Stratford, hoping to escape their existing space where they were siloed over several floors. 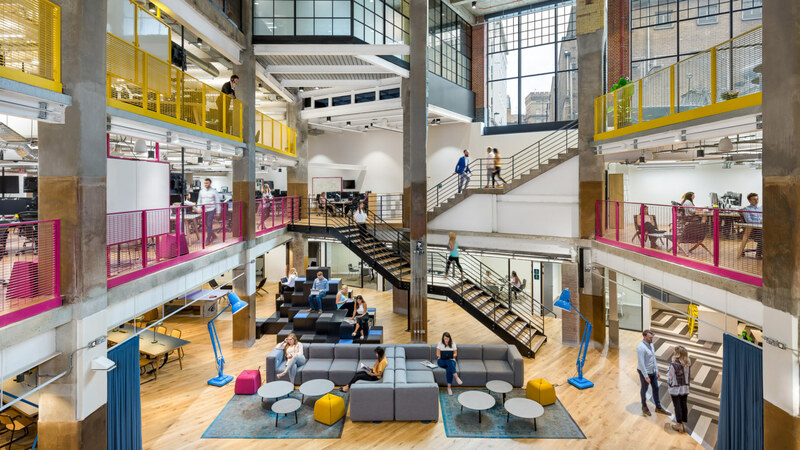 They wanted to move away from a traditional fixed office layout and embrace more flexible styles of working. 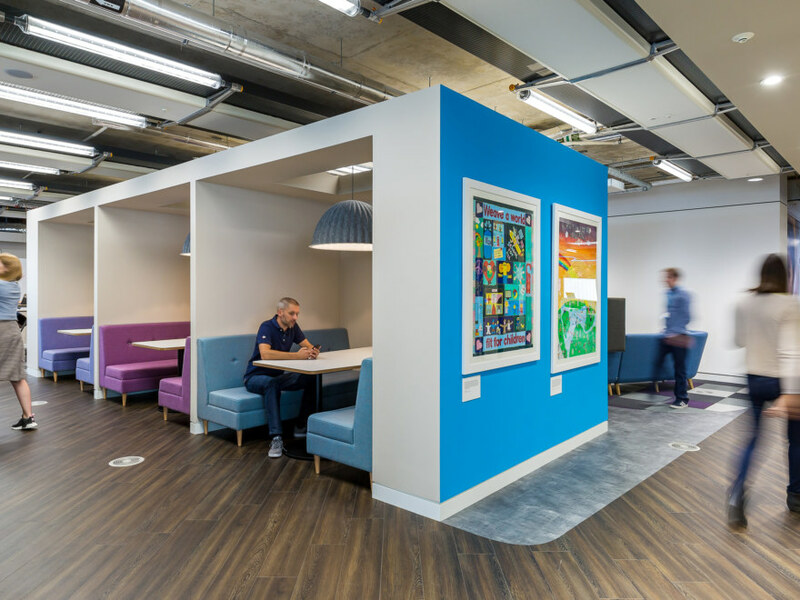 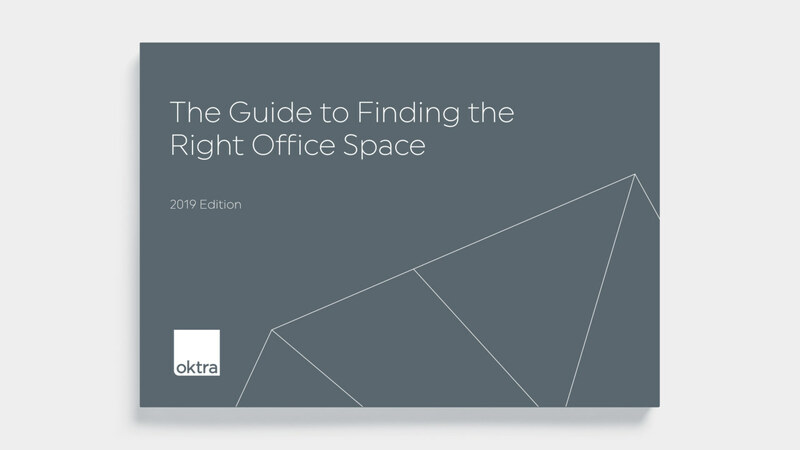 Having been provided with an initial concept design by Lorenc Design Associates, we developed this into a scheme that took into account colleague feedback and aesthetic aspirations. 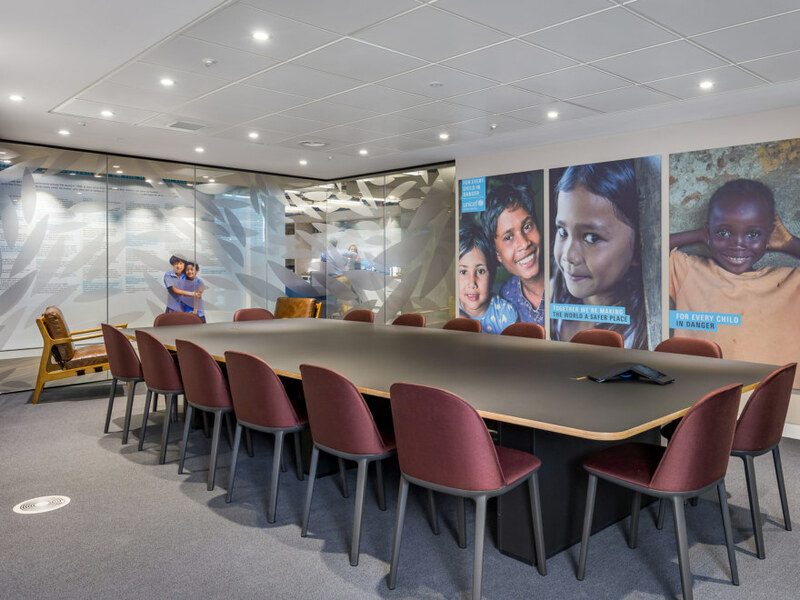 Our team finalised a design which inspired UNICEF and led the way to creating a space that shifts the perception of the working culture behind a charity organisation. 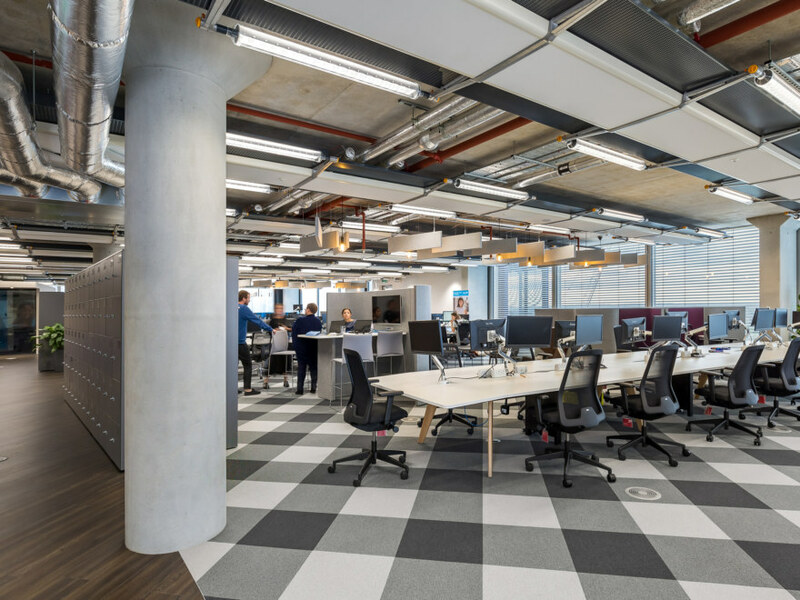 Throughout the build, our team was careful to work around the existing chilled beam system in place, which was integral to the structure of the space. 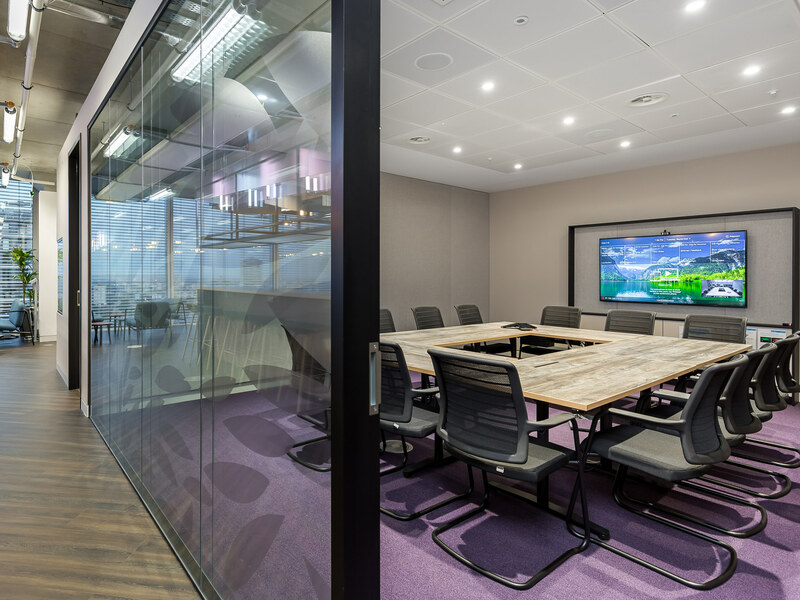 Our designers chose curved-edge, coloured finishes to soften the masculine tones of the ceiling and contribute to the warm aesthetic. 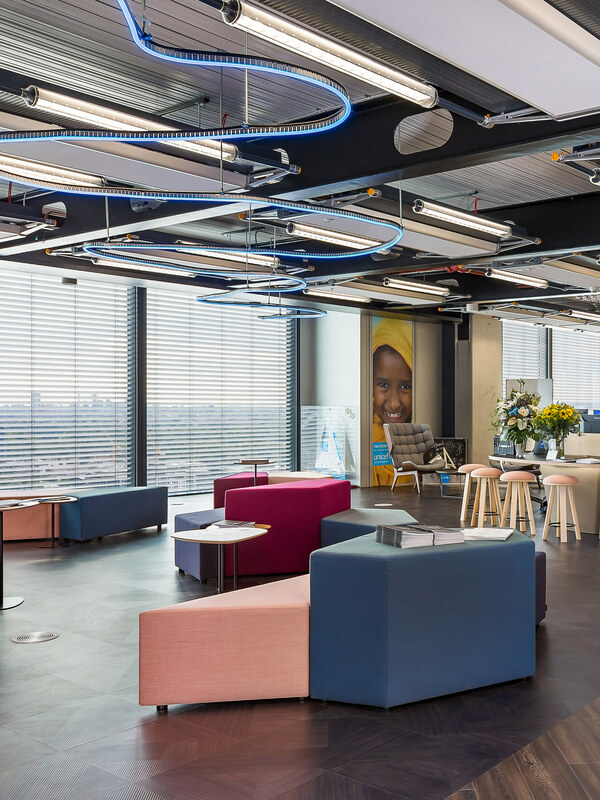 UNICEF now occupies two floors of fresh, bright, open space that subtly supports the brand. 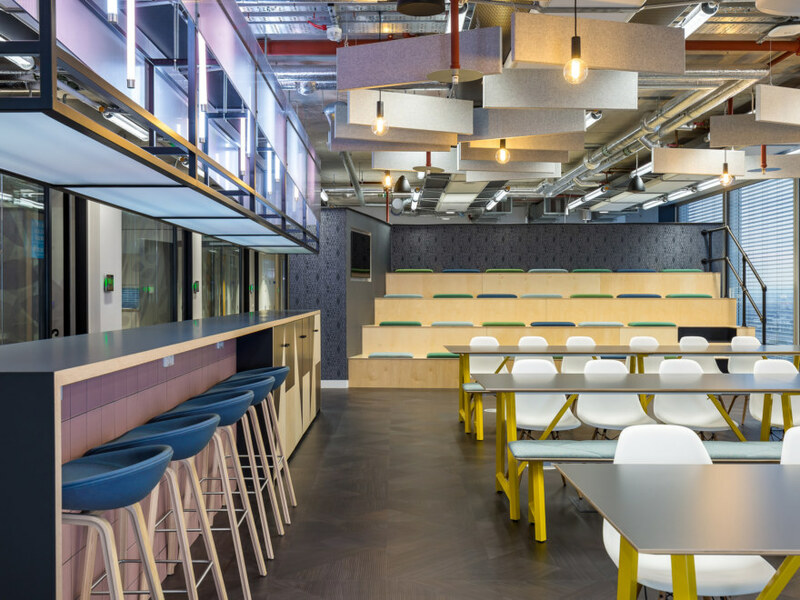 A soft colour palette combined with wood finishes provides a warm, rustic element to the space. 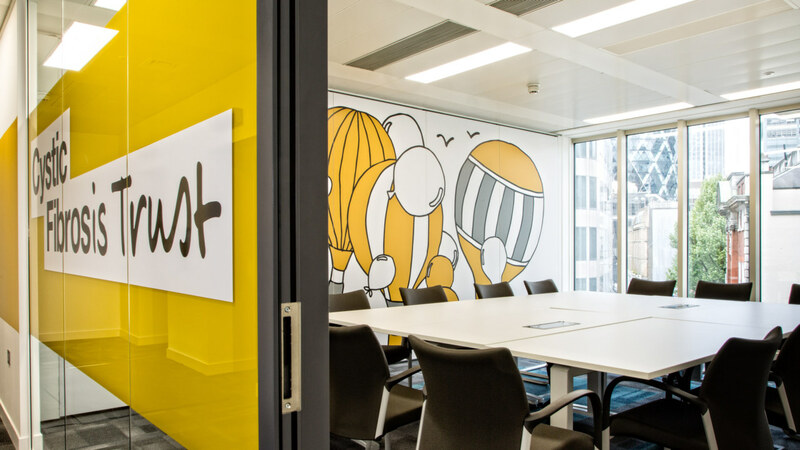 Through digital signing, wall graphics and an IT bar reception desk we have ushered a charity organisation into the technical era. 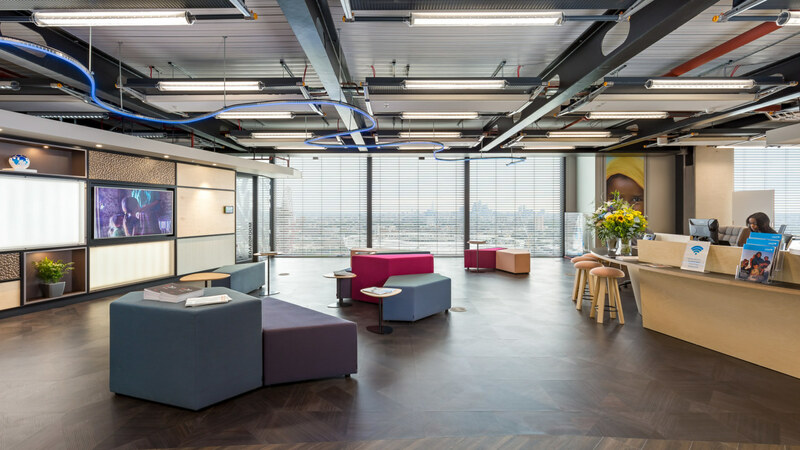 The top floor features a designated breakout space with bleacher seating, bookable meeting rooms and incredible views of Olympic stadium.